In good times or bad, strange things happen that seem to come straight out of left field. Perfectly healthy people may develop medical issues so unusual that there is little that could have been done to prevent them. Even the most medically prepared person may encounter situations like this in a survival setting. Sometimes, we are powerless to avoid them and have to accept our limitations if the miracle of modern technology isn’t available. 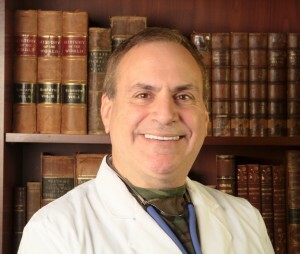 “You had asked me to share my surgery with you so I’ll will give you some background and also share some photos. I went to the ER roughly four and a half weeks ago with abdominal pain, this was April 12 2014. 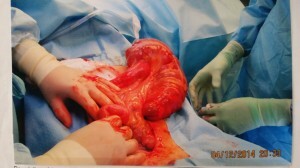 They discovered that my colon and a portion of my small intestine were entangled. They sent me to surgery to remove the twisted portion of the colon. 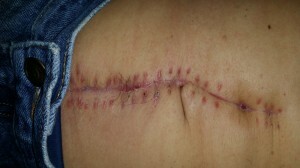 They ended up removing 11 inches of my colon and my appendix. Also, my appendix was found on my left side down under my heart; it is something they had never seen before and said it was extremely rare. The condition Aaron had was something he was born with (we call that a “congenital” condition). His intestines didn’t have some of the connective tissue that holds them in the proper location (also called “mesentery”) and, as a result, his guts twisted upon themselves. 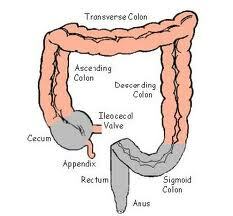 This is called a “volvulus”. Essentially, things got so twisted around that they lost part of their blood supply and, for lack of a better word, died. If surgery wasn’t performed, Aaron most likely would not have survived. If we were off the grid, this condition would have been untreatable. Even a trained surgeon would have had little luck having his patient recover from this issue. This leads me to a tragic but realistic conclusion: That you, survival medic, will be unable to help some people regardless of your level of medical preparedness and the quantity of your supplies. There will be times where you’re between a rock and a hard place. You might only be able to make a patient as comfortable as possible and hope that their immune system will do the job that you can’t. Sometimes, it will work. Sometimes, it won’t. This doesn’t mean that you shouldn’t work to be medically self-reliant. Indeed, you’ll be able to deal successfully with 90% of the problems you’ll encounter in times of trouble. Because we know a lot more about disease and infection than we did in the past, that’s even better than your ancestors’ success rate. Just know that you can’t cure everyone; Sometimes, the role of medic is as tough as it gets in a survival scenario. Do the best you can for your people, and hope it will be enough. Thanks to Aaron A. for sharing his story and photos.